We prevent house fires with dryer vent cleaning in Colorado Springs. 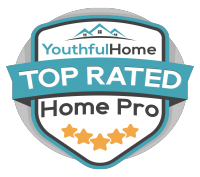 Let us help you avoid a household hazard with dryer vent cleaning in Colorado Springs. Dryer vents are extremely important in any residential or commercial property with a laundry facility. These vents allow dryers to exhaust hot, moist air to the outside, which in turn, prevents heat buildup inside your home or office building and allows the dryer to operate at peak efficiency. Dirty dryer vents are a major source of energy waste and a serious fire hazard. Did you know the clothes dryer in your home could start a fire? Check out or blog post Is Your Dryer A Fire Waiting To Happen and then w atch this Inside Edition segment to learn how to prevent the unthinkable from happening to your family. Remember, "Fire Is Everyone's Fight"! We Help Prevent House Fires. What's Your Super Power? HOW DOES LINT ACCUMULATE IN THE DRYER VENT? WHY IS IT IMPORTANT TO KEEP YOUR DRYER VENTS CLEAN COLORADO SPRINGS? We recommend that home and commercial laundry facility owners clean dryer vents regularly. Light-use laundry facilities can rely on an annual cleaning, but facilities with heavy use, such as those in prisons, laundromats, and dorms should have vents cleaned quarterly. In between regularly scheduled cleanings, you can follow these best practices to prevent dirty dryer vents from putting your appliances, family, and employees in danger. Bee-Kleen Of Colorado Springs Offers Dryer Vent Cleaning For Residential And Commercial Properties. 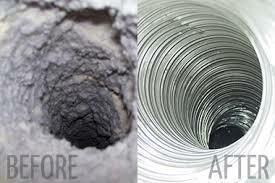 Look behind your dryer and on the outside end of your dryer vent for any evidence of excess lint buildup.